Now I know why judges have to return to a golf course – frequently – before they can make an honest assessment of any layout. Never before have I been so wrong about a golf course – and changed my assessment so completely, that even my golfing buddies were astounded. I was among the first batch to play the Ross Watson-designed layout at North Entrance on the Central Coast shortly after it opened about four years ago. I bumped into another keen golfer I know in the carpark afterwards and found we were both shaking our heads. “I won’t be back – too hard for me,” was his remark. I was forced to agree with him that it was just too hard. We had eight players in two groups and the best score was 29 stableford points from a fellow who plays his golf at New South Wales. It took me at least three years before I had forgotten how badly I had actually that day and returned for a second look at Magenta Shores. I have to tell you – I loved the place. We had intended jumping in our cars and heading back to Sydney, but instead decided to stay and have a couple of beers and check out the clubhouse before leaving. It was another good decision. We sat overlooking for first fairway and discussed our shots and what we should have done on this hole and that hole and, before long, found ourselves planning a return visit – only this time to stay overnight and maybe squeeze in two rounds at Magenta before heading back to the rat-race. How did my opinion change so much from the first visit? I’ve been asking myself the same question and come up with a variety of answers. The wind was nowhere near as severe – and penalizing as it was the first time around, meaning you at least had some hope of hitting the fairway with your driver. The greens were definitely better than our first visit – no-one found them too treacherous or difficult to putt on. And as a result of all that, we all played just that little bit better, subsequently scored better and enjoyed our day a heck of a lot more. And you know what happens then? You look around and start to enjoy the scenery that little bit more, take a few more photos, generally take in the surroundings and suddenly start laughing and joking with your playing partners. 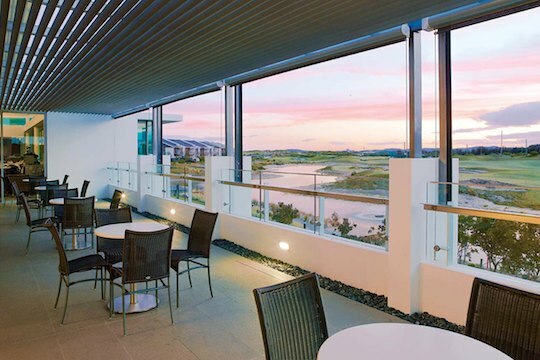 And Magenta Shores is the biggest winner, because you want to come back and do it all again. I can’t wait for me next visit. And just to take it a step further, the one hole I remembered, none too fondly, was the fourth. The first time I played there I think I fluffed a four-iron on the 170-m shot, found a bunker and eventually walked off with a five (or was it six?). This time around I swallowed a decent dose of humble pie and decided to hit a five-wood. It hit the stick half-way up and stopped about 10 feet away. I rolled in the birdie putt for a four-pointer and suddenly the world was a better place. That one shot also ignited my golf game. Amazingly, I parred the sixth, seventh, eighth and ninth holes and reached the turn on a half-way decent score. I couldn’t wait to get to the back nine and even a couple of early three-putts couldn’t dent my confidence. And by the time we reached the 13th, 14th and 15th holes, my playing partners were raving: “These are the best holes on the course – and they don’t even have water views,” was the general consensus of opinion. The 13th is a challenging par four with a narrow fairway with some massive trouble should you not connect with your tee shot long and straight. When the green does loom into sight, there is plenty of solid bunkering short right of the green that funnels to the centre. We all took double bogeys here – but what the heck – and whose counting? The 14th is simply a gorgeous par-four that requires another precise tee shot with a second shot downhill to a large green with plenty of trouble long and right. 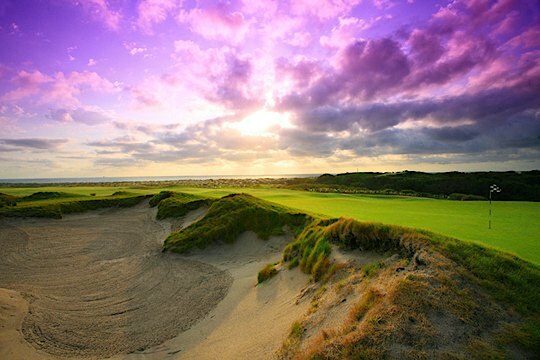 As for the 15th, well, its probably Magenta Shores’ signature hole. It sits due east and is quite exposed to the elements with plenty of bunkers left and right. Anything short leave a difficult chip and I do urge you to take a club longer than you think – even if you err long, this green is about 27-metres long so you just need a good first putt. Pause a minute here after you’ve holed your putt. Now look back from the green towards the tee – it is one of the prettiest sights I have seen in golf anywhere. There are very few courses when you can look back from green to tee and be as struck by the beauty as this hole. Even my photos don’t capture the allure of this place. I was almost disappointed we didn’t bump into a snake, or a wombat – or a koala here – as this hole is certainly a mecca for golfers. I’m surprised the animals don’t congregate here as well. Magenta Shores has indeed come a long way since it opened and also offers some tempting membership-type packages as well. You pay a certain fee and get something like 16 games a year there – and yes, you can use them, as gifts for your mates if you so desire. 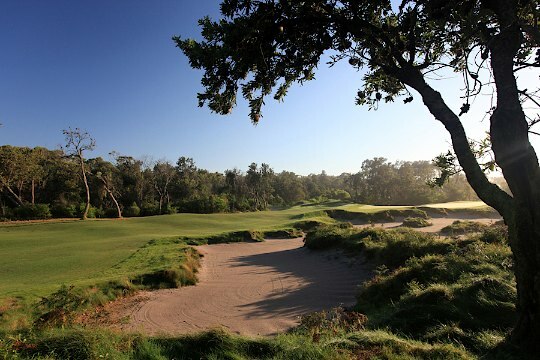 For a Sydneysider who loves to get out of town and play golf, this is perfect. You could plan four or five trips a year here and bring some mates along as well. Let me tell you – golf does not get any better than that. So how did I score this time around. I think I had 33 points – but made enough pars and hit enough good shots to be planning a return trip sooner rather than later.